Not to be confused with Rose Island (disambiguation). 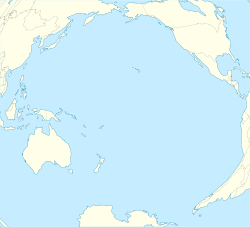 Rose Atoll, sometimes called Rose Island or Motu O Manu by people of the nearby Manu'a Islands, is an oceanic atoll within the U.S. territory of American Samoa. It is an uninhabited wildlife refuge. It is the southernmost point belonging to the United States. The land area is 0.214 km2 (53 acres). The total area of the atoll, including lagoon and reef flat amounts to 5 km2 (1,200 acres). Just west of the northernmost point is a channel into the lagoon, about 40 m wide. There are two islets on the northeastern rim of the reef, larger Rose Island in the east (3.5 m high) and the non-vegetated Sand Island in the north (1.5 m high). The earliest Western sighting was June 13, 1722, during the voyage of Jacob Roggeveen, who called it Vuil Eiland "useless island." The name Rose Island comes from its sighting by Louis de Freycinet in 1819. He named it after his wife Rose. While the second woman to circumnavigate the globe, Rose de Freycinet was the first to tell her tale. In his official report Louis de Freycinet records that 'I named Rose Island, from the name of someone who is extremely dear to me'. Soon afterwards, in 1824, it was seen by the expedition under Otto von Kotzebue, who named it Kordinkov after his First Lieutenant. The atoll is a critical nesting habitat for the threatened green turtle and the endangered hawksbill turtle. The turtles migrate between American Samoa and other Pacific Island nations. Their nesting season is between the months of August and February. ^ Augustin Kraemer. 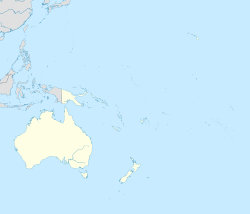 Samoa Islands. Vol.2, Pg.5. ^ "US Fish & Wildlife Rose Atoll Marine National Monument". August 25, 2009. Retrieved August 25, 2009. ^ "US Fish & Wildlife Service Rose Atoll Wildlife and Habitat". August 25, 2009. Retrieved August 25, 2009.